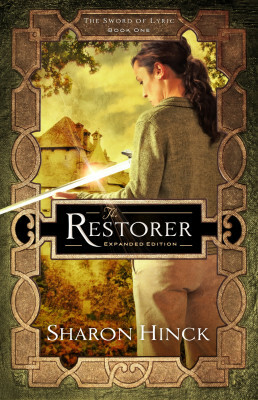 Sharon Hinck’s book, The Restorer, is free right now as an ebook! Hurry, Hurry! A Soccer Mom in Our World. A Promised Deliverer in Another. Susan Mitchell thought she was an ordinary homemaker. She was wrong. Pulled through a portal into another world, she finds a desperate nation waiting for a promised Restorer. While she struggles to adapt to a foreign culture, she tackles an enemy that is poisoning the minds of the people, uncovers a corrupt ruling Council, and embraces a profound spiritual journey. Will this adventure demand her life? Can she find a way back to her family? She has always longed to do something important for God, but can she fill this role? Tags: Enclave, fantasy, free, Sharon Hinck, The Restorer. Bookmark the permalink. Previous post ← What do you want from an Author Event?